The bus terminal in Zadar, Croatia, is one of the rare bus stations on the coast of Dalmatia that doesn't have a view of the sea. :( More over, it isn't located near any of the culturally significant monuments or tourist attractions so you'll have to turn on your phone's GPS if you want to find it on your own. A far more easier route is to take the city bus named “Liburnija" (one-way bus ticket costs 10 kn/1.35 euro and lasts 50 minutes) or call a cab. Taxi Denis offers the cheapest taxi fares in Zadar. You'll only pay 20 kn/2.7 euro for 3,1 miles/5 kilometers (30 kn/4.05 euro in summer season). Other cab drivers are significantly more expensive - you’ll pay some 40 kn / 5.4 euro more for the same trip, distance-wise. Prices don't differ too much from the rest of the town's offer, although drinks and snacks tend to be a bit pricier at the newsstands than they would be at a typical grocery store. Speaking of which, there are two big supermarkets nearby. One of them is located right across the street from the bus terminal while the other one is located on the right side of the bus station, along with a McDonald's restaurant. It's useful to know that WiFi is available across entire Zadar Bus Station. For all information about bus transportation, the timetable and tickets, you can contact the kind staff at the Zadar Station. The bus station in Zadar is well-connected to other stations around Croatia such as Pula, Rijeka, Karlovac, Plitvice Lakes, Zagreb, Osijek and many others as well as cities in neighboring countries. Bus lines are frequent too. By the way, there's no need to wait in the line at the bus station. You can look for timetable, check your options and buy your tickets through our Vollo service. Zadar's peninsula is THE "go-to" place here, not just for tourists. If you want to dig into the town's rich historical background, we suggest you visit The Church of St. Donatus, the old market square Forum, The Cathedral of St. Anastasia and the Museum of Archeology. Tall buildings provide natural shade on the Old Town's narrow streets, so you can explore them at any time of the day. You can easily reach the peninsula by taking the city bus line number 2. When you're done with sightseeing, take a break in one of the prominent city cafés like: Forum, La Bodega, Garden, Kut, and Ledana. Or have some lunch at one of the many scattered seafood and Mediterranean restaurants. At the end of the day, take a walk along the promenade to see Zadar’s iconic sunset and hear the sounds of the unique Sea Organ. If you're not so keen on sightseeing and you'd rather spend time tanning and swimming in the sea, you'll be glad to know there's a city beach only ten minutes of walking away from bus terminal. The Kolovare beach features an open water polo pool and 32,8 feet/10 meters tall diving platform. You can totally jump from it if you feel like it. Or, what’s most often the case, if you've lost a bet with one of your friends. If you're not feeling that brave, you can also jump from lower, 16,4 feet/5 meters and 9,8 feet/3 meters diving platforms. Vollo Tip: You can also take a break near the University of Zadar. This area is populated with relatively cheap cafés, such as Arkada, Kutić or Caffe Bar 72. If you go north, only a few kilometers away from Zadar is Nin. Nin is a small place of rich history, many of which have been heard. It was once declared the most romantic city in Europe, but to see why you'll have to go to Nin. 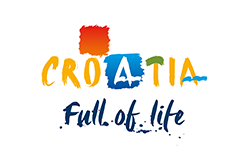 If we say that the Croats had colonized Nin in 7th century and that it was a Croatian royal town from the 7th to the 13th century, would it be enough to intrigue the imagination? One of the most recognizable symbols of Nin is certainly the Church of St. Nicholas where seven (!) Croatian kings were crowned. Church of the Holy Cross is called the smallest cathedral in the world, is it really you'll have to come and see. Anyway, this church was build in 9th century and is the only religious object in Nin that is untouched from its construction to this day. There is no story about Nin if there is no mention of a long maritime tradition and ships called Condura Croatica. These boats were probably crafted and sailed at the time of Croatian kings Petar Kresimir IV and King Zvonimir. Condura Croatica is still preserved today in the Museum of Nine Antiquities, and you can see the replica exposed in the sea at the lower city bridge. Furthermore, if you want to see the traditional salt production, if you want to have a souvenir of salt or try the "salt flower", visit the world of Salt Nin. And the longest and most beautiful beach in the world by choice of Travel Channel is the Queen's Beach in Nin. The legend says that King Tomislav's wife was bathed here whenever they were in Nin. Now the name of the beach make sense, right? Plus, we must mention the healing mud that is right next to the beach. For mud they say it treats rheumatism, arthritis, infertility and anything else, but that's another topic. From personal experience I can say that it provides the unique feeling and to all of you I sincerely recommend to try it. For all mountain lovers, we recommend that you visit the Paklenica National Park which is 50 kilometers away from Zadar. This is the most preserved and largest forest complex in Dalmatia and was therefore proclaimed National Park in 1949. Driving by bus from Zadar station to Starigrad-Paklenica takes about 45 minutes. Hiking is one of the best ways to get to know this unique park. There are around 200 kilometers of paths for curious people in the National Park of Paklenica. These are the tourist trails that lead to the canyon of Velika Paklenica, the Manite Cave, the Lugarnica Forestry House, a hiking trail or a trail intended for hikers leading to the highest peaks of Velebit. All trails are well marked with mountaineering tags. Paklenica National Park is one of the most visited forest complex in Croatia. The close proximity to this National Park is a delight, and this is also an ideal place for various activities such as climbing or water sports. This is the place where every climbing fan can find something for themselves. The main season of climbing starts in early spring and lasts until late autumn, so it is easy to combine visits to the Paklenica National Park if you are on a vacation in Zadar. Unfortunately, for nature conservation, camping in Paklenica National Park is not allowed. Ready to buy your next travel ticket? Among the most popular domestic lines are definitely: Zadar-Dubrovnik, Zadar-Šibenik and Zadar-Zagreb. Dubrovnik is the Croatian pearl. Special town full of beautiful views. Zagreb, the capital of Croatia, is a gorgeous city filled with history and culture. Furthermore, one of the most popular lines outside Croatia is undoubtedly Zadar-Ljubljana. Wherever you drive from Zadar, you will be happy to arrive. Even if there are no direct lines, combining only two bus lines you can find yourself almost anywhere in Europe, but please don’t forget about some great Croatian destinations like Rijeka and Split.